The Pentagon has sent Congress a list of projects that could be impacted by President Donald Trump's decision to declare a national emergency and repurpose military construction funds to pay for his sought-after border wall with Mexico. The list, which includes a pool of projects valued at $12.9 billion that are "unobligated," meaning that construction contracts have yet to be awarded. Should acting Secretary of Defense Patrick Shanahan "determine that construction along the southwest border is necessary to aid the mission of military personnel supporting the Department of Homeland Security, some projects within this pool may be used to fund up to $3.6B in barrier construction," Lt. Col. Joe Buccino, a spokesman for the Pentagon told CNN. However, the Pentagon provided little guidance as to which of the hundreds of projects listed would be cut or delayed to shifts funds to build the wall. Buccino said that no military housing, barracks, or dormitory projects will be impacted and that only projects with award dates after September 30 will be potentially tapped. The Defense Department has been slammed by Congress in recent weeks over substandard military housing. Some projects that appear to meet the criteria, and could potentially be on the chopping block, include a command and control facility and drone hangar in South Korea, a Special Operations Forces training facility in Estonia, a Cyber Operations facility in Virginia, a mission training complex in Germany and a Joint Reserve Intelligence Center in Louisiana. Some projects that appear to meet the criteria and which could potentially be on the chopping block include a command and control facility located at Camp Tango in South Korea and a mission training complex in Germany. A Pentagon cover sheet accompanying the list says that once that criteria is applied the remaining project list "has a total value that is in excess of the amount needed to source potential section 2808 projects," referring to the legal authority that allows the transfer of funds during a national emergency. Sen. Jack Reed, the ranking Democrat on the Senate Armed Services Committee who elicited a promise from Shanahan to provide the list last week during a committee hearing, slammed the Trump administration over its content. 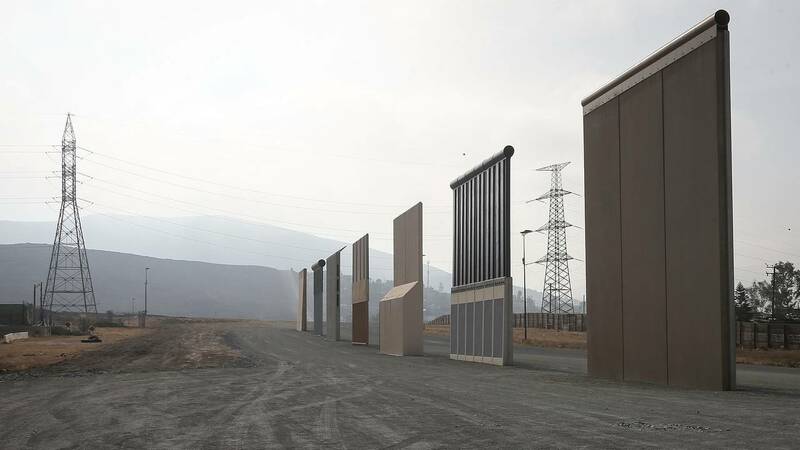 "We know President Trump wants to take money from our national security accounts to pay for his wall, and now we have a list of some of the projects and needed base repairs that could be derailed or put on the chopping block as a result," Reed said in a statement. Reed added that he hoped the list of potential projects would convince additional senators to vote against Trump's declaration of a national emergency to secure a veto proof majority. "A bipartisan majority of Congress went on record in voting to rebuke this ill-conceived idea. Now that members of Congress can see the potential impact this proposal could have on projects in their home states, I hope they will take that into consideration before the vote to override the President's veto," Reed said. Evan Hollander, a spokesperson for Democratic Rep. Nita Lowey, chair of the House Appropriations Committee, also reacted angrily stating: "Today's submission is just a list that tells Congress what projects it already approved, and is nothing more than another stall tactic designed to delay the political consequences of President Trump's emergency declaration." The Pentagon is seeking $7.2 billion in emergency construction funds in order to backfill any funds repurposed for the wall. "All construction projects will proceed on schedule if the Department's FY2020 budget is enacted on time and as requested," Buccino said. However, it's unclear given the strong opposition from some sections of Congress whether the defense budget proposed by the administration will be passed.